Bohenna is a small Cornish village, dominated by a thriving vineyard and the Pennyman family who run it. It’s an insular community, all gossip and rumour and intertwined lives. Claire knows everyone; she grew up there. She even married into the Pennyman family. Every summer tourists swarm over the vineyard and village. So when Claire’s young daughter disappears without trace, it’s obvious to everyone that a visitor took her. Who else would do such a thing? Six years later, her marriage broken, Claire still struggles to accept what happened. She’s been away but she’s back now - and increasingly convinced her daughter never left the village at all. But it’s not wise to start asking questions. Old resentments run deep and not everyone is pleased to see Claire back in Bohenna. 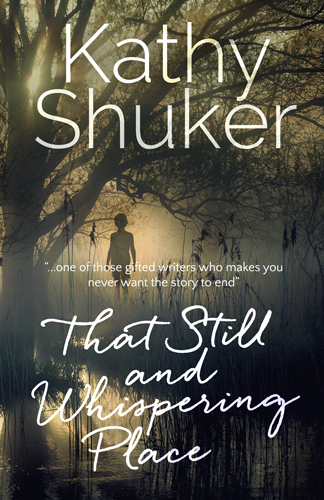 That Still and Whispering Place is also available as a paperback from Amazon, and by order from Waterstones and most bookshops. It is also in stock at The Harbour Bookshop in Kingsbridge. My books are sometimes chosen to be read by book clubs and I’m thrilled to know that people are engaging with my stories and characters. It’s also interesting for me to hear your impressions and to see my characters through your eyes. If you have decided to read That Still and Whispering Place and would like more information about it, do get in touch. If your club is local to me, I should be happy to come and discuss it with you at a meeting if you would like; alternatively, we may be able to hook up on Skype. I have prepared a list of questions you may choose to consider after reading That Still and Whispering Place. Click here to download a copy for your club. Be aware that the questions may contain spoilers!